MAIDUGURI | Nigeria’s Borno state government is closing all high schools indefinitely amid fears of massive attacks by Islamic extremists, officials and teachers said on March 18, confirming a move that may be considered a victory for the Islamic extremist Boko Haram terrorist network, whose nickname means “Western education is forbidden.” Amnesty International said Boko Haram Islamists killed at least 170 students and teachers last year (and the militants also burned down more than 50 schools in the region in the past year, according to the Education Ministry). Other schools fearful of attacks have closed in Yobe and Adamawa states. ‘‘We have run out of excuses for our failure to live up to our responsiblity to protect our innocent defenseless children from gratuitous violence,’’ the speaker of the House of Representatives, Aminu Waziri Tambuwal, told legislators at a special session last week to mourn the latest victims – 59 students killed at a boarding school in neighboring Yobe state on Feb. 25. Extremists locked some of the students into a dormitory and set it aflame. Not only the military but also the government, including the legislature, must ‘‘act swiftly and decisively in the protection of the citizenry,’’ said Tambuwal. The school closures could have far-reaching consequences, including ending the education of some students in a region where few ever have the opportunity to get to high school, said the chairman of Nigeria’s National Human Rights Commission, Chidi Anselm Odinkalu. ‘‘The average secondary school enrollment is slightly under 5% (in northeast Nigeria), so I think it’s easy to understand that you cannot overestimate what the consequences of this could be, given the parlous state of education in the region and the fact that, clearly, whoever is orchestrating this is focused on targeting schools, educational institutions,’’ he said. The head of a private secondary school said private schools were considering holding exams this week, at mid-term, and then closing down. Smart meters are due to be rolled out to every household in Britain between 2016 and 2019, under plans backed by the government, replacing the simple meters fitted in most homes for the last century. Much of the public discussion has focused on the potential to cut meter-reading costs and eliminate estimated quarterly bills. But smart meters would also enable customers to be charged different prices depending on the time of day they use electricity, encouraging them to shift demand away from peak periods. And smart meters could even allow appliances like electric heaters and refrigerators to be switched off [by the electric company] for short periods to offset intermittent output from wind farms. Electricity experts believe involving residential customers will be essential to integrating more wind power onto the network without having to build lots of expensive gas-fired power stations and power lines to provide back-up supplies on still days. In the longer term, Britain’s government wants more cars to be run on electricity and more homes to be heated with it, which will enormously increase pressure on the grid. Rather than unlimited amounts of power being available at “the flick of a switch,” electricity experts want customers to think more about the best time to use…appliances. In the future, they want electric cars to be recharged when the wind is blowing, and for some heating and cooling appliances to be turned down or switched off [by the power companies] altogether when power supplies are stretched. 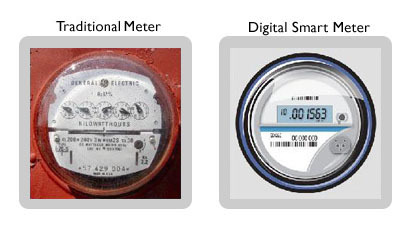 In contrast to the professional enthusiasm of the experts, consumers remain much more wary about how smart meters will affect them. Customer concerns range from privacy and the use of their data to worries about how much power would cost at peak times and the impact on customers who cannot shift their consumption off-peak. Particular fears have been expressed about the impact on families with young children or containing elderly and disabled people, who might face difficulty shifting their demand to cheaper times of day, as well as poorer households unable to afford smart appliances. If smart meters are eventually coupled with smart appliances that can turn off or turn down in response to signals from the grid, customers want the ability to override the commands. “An override function would be essential, allowing customers to take control if needed,” the report concluded. Turkey’s courts have blocked access to Twitter days before elections as Prime Minister Tayyip Erdogan battles a corruption scandal that has seen social media platforms awash with alleged evidence of government wrongdoing. The ban came hours after a defiant Mr. Erdogan, on the campaign trail ahead of key March 30 local elections, vowed to “wipe out” Twitter and said he did not care what the international community had to say about it. Mr. Erdogan’s ruling AK Party has already tightened Internet controls, handed government more influence over the courts, and reassigned thousands of police and hundreds of prosecutors and judges as it fights a corruption scandal he has cast as a plot by political enemies to oust him. “Because there was no other choice, access to Twitter was blocked in line with court decisions to avoid the possible future victimization of citizens,” it said. “Twitter, mwitter!,” Mr. Erdogan told thousands of supporters at a rally late on Thursday, in a phrase translating roughly as “Twitter, schmitter!” Mr. Erdogan, who has cast the corruption scandal as part of a smear campaign by his political enemies said “We will wipe out all of these. The international community can say this, can say that. I don’t care at all. Everyone will see how powerful the Republic of Turkey is,” he said in a characteristically unyielding tone. Turkish Internet users were quick to come up with ways to circumvent the block. The hashtag #TwitterisblockedinTurkey quickly moved among the top trending globally. The move was only the latest clash between Turkey’s ruling party and social media companies including Google, Facebook and Twitter. After a series of popular protests partly fuelled by Twitter last summer, Mr. Erdogan slammed the service as “a scourge.” Shortly thereafter a government minister asked Twitter to establish an office in Turkey so that it could better communicate requests to take down content or hold the company accountable to Turkish law. Twitter did not respond to the request. b) What percent of high school aged students are enrolled in school in northeast Nigeria? c) Nigeria’s National Human Rights Commission, Chidi Anselm Odinkalu told the AP he thinks the government should consider setting up well-protected camps where children can continue their education. Do you think this is the best solution to the problem of Islamic terrorists attacks on students/schools? Explain your answer. d) How does the news that high school students in Nigeria are being targeted by Islamic extremists affect the way you view your access to education in the U.S.? Please give a thoughtful response. b) What concerns have consumers expressed over the government ordered installation of smart meters in every household in Britain? c) From paragraph 8: “Rather than unlimited amounts of power being available at ‘the flick of a switch,’ electricity experts want customers to think more about the best time to use appliances.” Overall, would you consider this progress or regression? Explain your answer. b) What controlling actions has Prime Minister Erdogan’s ruling political party taken recently? c) What other social media platforms might be next? Nigeria’s military recently claimed successes in aerial bombardments and ground assaults on extremist hideouts in forests and mountain caves along the borders with Cameroon and Chad. But they were unable to stop extremists who on March 14 shot their way into the main military base in the northeast, Maiduguri’s Giwa Barracks, where they freed dozens of detained fighters before soldiers repelled the attack. The battle went on for five hours, terrifying citizens who fled their homes. The Defense Ministry said scores of extremists were killed. The state government hopes to keep open a handful of schools in Maiduguri, where it would be possible for students from other areas to write regional and national examinations scheduled in June, said Malam Ayuba, the principal of another school. Muhammed Karage, principal of the Federal Government College high school in Maiduguri, said about 150 students already have been relocated to his school from Federal Government College at Buni Yadi, the school burned down in the Feb. 25 attack. He said that students and staff from other federal colleges were being relocated to the states of Katsina and Kaduna. Boko Haram, which means “Western education is a sin” in the Hausa language, is fighting to impose Islamic law in Africa’s biggest oil producer. Attacks have continued after President Goodluck Jonathan imposed emergency rule in Borno, Yobe and Adamawa states last May. Customer acceptance of smart metering was identified by UKERC (UK Energy Research Center) as one of the critical factors which could accelerate or hamper the transformation of the power system. “Securing public commitment, although challenging, is perceived by virtually all stakeholders (in the electricity industry) as essential … to respond to a future system with substantial intermittent generation and increasingly volatile load,” the report concluded. Rather than power at the flick of a switch, customers will be “able to choose from more differentiated and dynamic tariffs” according to UKERC – which is an interesting use of the verb “to choose”. The problem is that most customers don’t want to think about the cost of the electricity they are using and want power available anytime on demand for a simple and low price. Persuading customers that change is both necessary and desirable is likely to prove difficult, for all the UKERC’s professional optimism. The report emphasises the importance of building public trust so customers do not feel they bear all the risks of smart metering (including the threat of higher peak-time prices) without reaping the rewards. Poor public perceptions about Britain’s utilities could complicate the task, so UKERC floats the idea of partnerships with more trusted suppliers like mobile phone companies and smart phone suppliers. But smart metering will create losers as well as winners. Not every household will be able successfully to shift power consumption away from peak periods. The question of how far to cushion the impact on the losers is critical to both the acceptability of smart meters and their ability to deliver real load-shifting. Peak pricing is already widely accepted as reasonable in some circumstances, such as rail and airfares, and the telephone system. Customers expect more to call or travel at peak times. But residential power users have never faced similar charging schemes for electricity, and shifting from one system to another is bound to prove intensely controversial. 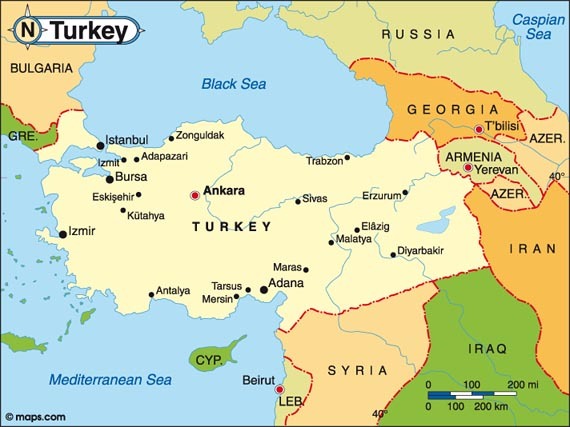 The Prime Minister of Turkey is the head of government, and of a multi-party system. The prime minister is the leader of a political coalition in the Turkish parliament and the leader of the cabinet. The current prime Minister of Turkey is Recep Tayyip Erdoğan. He leads a cabinet of the Justice and Development Party. The prime minister has the power to dissolve the parliament and thus force a new election, which he is obliged to do within four years of the previous elections. The President of Turkey is the head of state who holds a largely ceremonial role but with substantial reserve powers. The Presidency is largely a ceremonial office but has some important functions. In this capacity he represents the Republic of Turkey, and the unity of the Turkish nation; he ensures the implementation of the Turkish Constitution, and the organized and harmonious functioning of the organs of state. The office of the President of Turkey was established with the proclamation of the Republic of Turkey on October 29, 1923. The current office-holder is the 11th President, Abdullah Gül since August 28, 2007. The corruption investigation became public on Dec. 17 when police detained the sons of three cabinet ministers and businessmen close to Prime Minister Erdogan. The three ministers resigned a week later, while others were removed in a cabinet reshuffle. At an extraordinary session on Wednesday, parliament’s speaker blocked opposition pleas to have a prosecutor’s report with allegations against the former ministers read out. A document purporting to be that report appeared on Twitter last week. It included alleged transcripts of wiretapped phone conversations, pictures from physical surveillance and pictures of official documents accusing the former ministers and two of their sons of involvement with an Iranian businessman in a bribery and smuggling racket. Reuters has not been able to verify the authenticity of the document. Mr. Erdogan said two weeks ago that Turkey could also ban Facebook and YouTube, which he says have been abused by his enemies after a stream of audio recordings purportedly revealing corruption in his inner circle emerged online. In early June 2013, resentment against his rule boiled over into mass protests by those who did not vote for the AK party in the June 2011 general election.